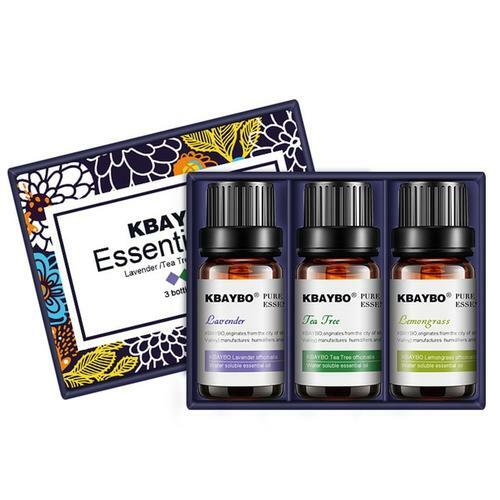 Kbaybo 3 Pack Essential Oils © holds Three 10ml essential oils. Used alone (external use only), or in conjunction with Ava 3D Essential Oil Diffuser ™, these oils breath fresh relaxation, joy and healing into any environment. 3 Most Popular Essential Oils-Lavender, Tea Tree and Lemograss.These Oils Are Popular For A Reason. Their Properties Are Well-Known And Their Wonderful Effects Backed By Evidence. Carefully Pack Gift Box-Cradled inside each box are three 10ml bottles. The gold amber tint of the strong bottles guard the precious, delicate oils from light and UV degradation.